Healthier lifestyles and higher incomes helped increase life expectancy by 10 years in 35 nations in the past half a century, according to the Health at a Glance 2017 report by the Organization of Economic Cooperation and Development. Out of the OECD’s 35 member countries, life expectancy exceeded 80 years in 25 nations. The leading countries are Japan with life expectancy of 83.9 years, as well as Spain and Switzerland with 83 years. Those with the lowest results are Mexico (75) and Latvia (74.6). 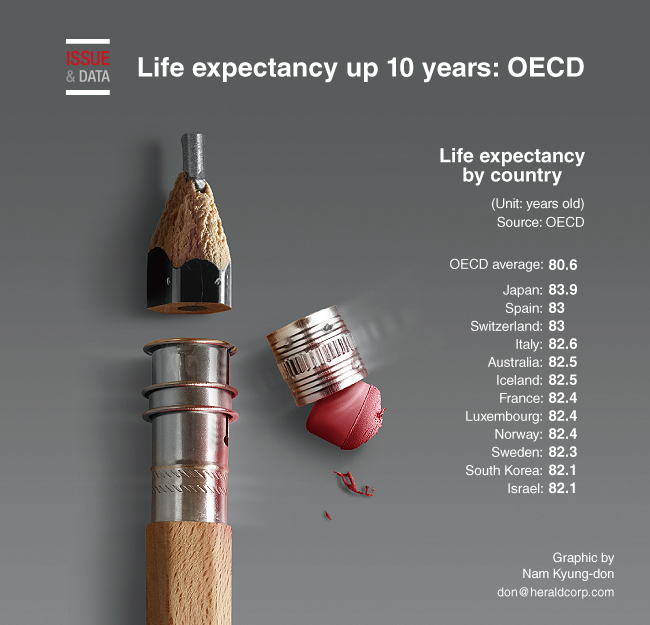 Life expectancy in Korea is 82.1 years, above the OECD average of 80.6.